Wishing everyone a very happy holiday season this year! 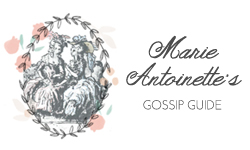 In the spirit of giving, I am giving away a favorite classic novel, YAY! Have you heard? Emma was originally published 200 years ago on December 25, 1815! So that readers would continue to view it as a new publication, the inside of the book was dated 2016, clever clever. 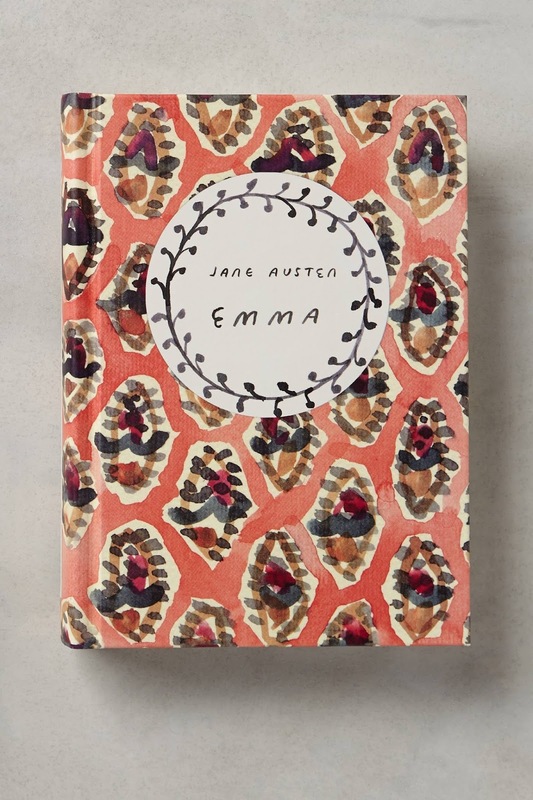 One lucky winner will win a gorgeous copy of Jane Austen's classic novel, Emma! 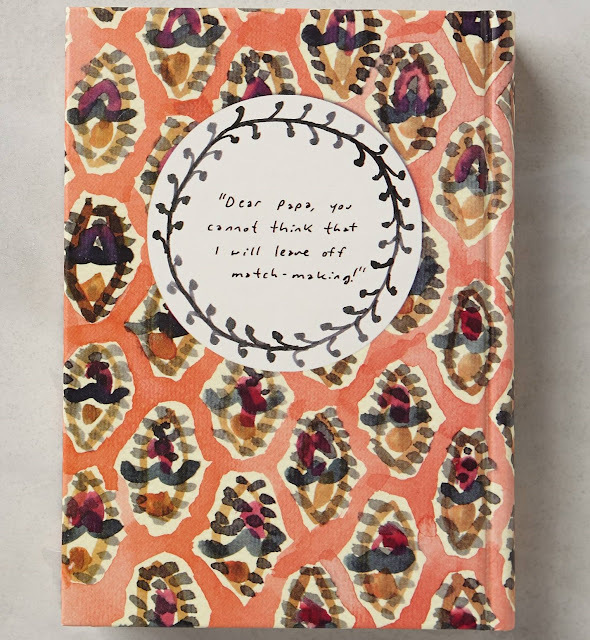 Graphic artist Leanne Shapton's signature painterly patterns grace the cover of this classic Jane Austen novel, giving us an oh-so-pretty excuse to re-read it! Enter using the below widget by 11:59 pm, December 16, 2015. Winners will be announced and contacted by email on December 17. 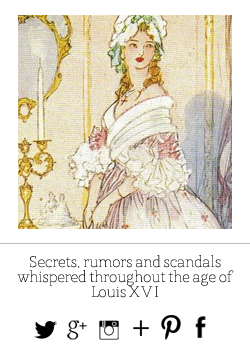 -Description and photos from: "Jane Austen Classic Novels." Anthropologie. http://www.anthropologie.com/anthro/product/35447085.jsp#/. 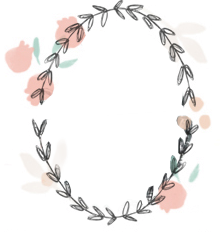 ²"Emma by Jane Austen" Penguin Random House. http://www.penguinrandomhouse.com/books/318866/emma-by-jane-austen-edited-with-an-introduction-by-juliette-wells/9780143107712/. 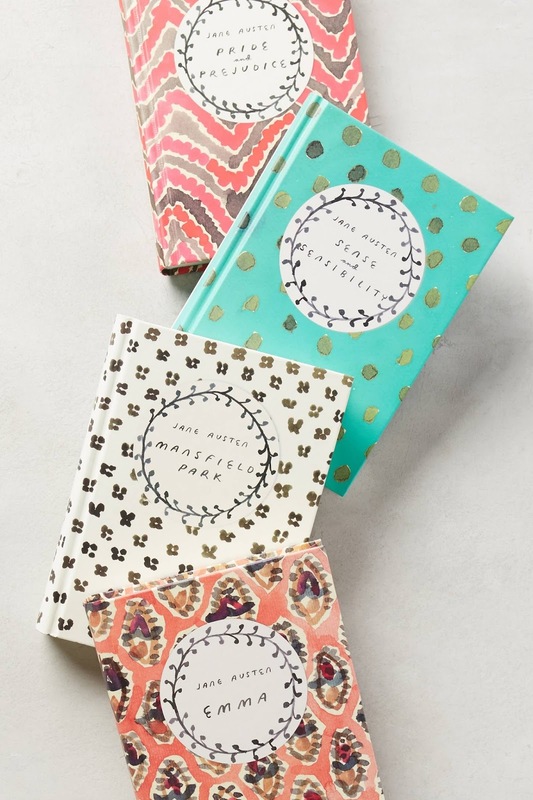 I love Jane Austen, what a beautiful thing to give away!! Emma is really clever and express her feelings and thoughts decidedly. It's so pretty, I love the color! These are beautiful! Truly! I am a Pride and Prejudice fan from way back but also adore Sense and Sensibility. Though I admire the adaptability of Emma! Thanks for the giveaway! Never get tired of Jane Austen's Emma. That's a lovely cover! I would love to have it. Thanks for the chance! 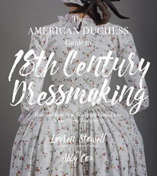 Looks so pretty, I really want to hold this book! What a beautiful edition of Emma! Though I have to say my favorite Jane Austen is probably Persuasion. I love the story of Emma! My favorite Austen book though is Pride & Prejudice. Emma = Austen's powers at their height! Beautiful new edition. It might make students want to pick it up to read as opposed to our old worn out editions we have at the library. My favorite Austen novel is Persuasion.